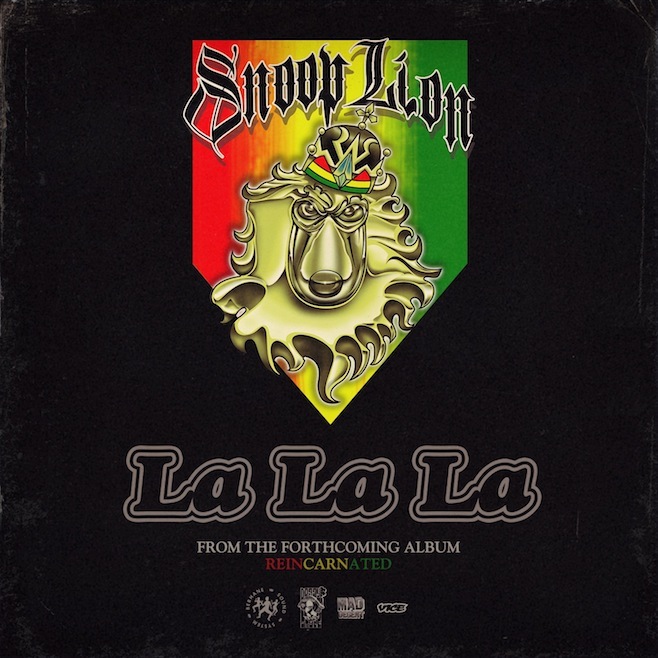 When we first heard that Snoop Dogg had decided to start making reggae music under the name Snoop Lion, we thought it was a joke of some sort, kinda like that strange Joaquin Phoenix hoax where he pretended to be a gangster rapper for a documentary. Yeah, that went over well — especially for Casey Affleck. Then the more we thought about it, the more it made sense. No one smokes more weed than Snoop. It only makes sense that eventually the principles and ideals of Rastafarianism would make an impact on him, since they consider it a sacred herb God gave to them. No word on whether or not Snoop Lion is a Jah loving rasta who believes Haile Selassie is the reincarnation of Jesus Christ yet, or whether or not Snoop plans on growing him some dreads and preaching on Babylon. That would be so epic! The website Pitchfork reported the news over the weekend but it was largely drowned out in the media deluge about the shooting tragedy in Colorado. The LP is titled “Reincarnated.” Its first single, “La La La,” is already floating around the Internet, gathering far more love than hate. The track was regular-level produced by Ariel Rechtshaid and Diplo, and executive produced by Major Lazer, which is also technically Diplo. It’s pretty rad. We’ve listened to it about a hundred times now and can definitely say that it grows on you quickly. Check it out! Gawker describes it as follows – “What might it sound like if Snoop Dogg affected a Jamaican accent and sang some reggae?” It sounds exactly like that. This isn’t the first time that Calvin Broadus Jr. has changed things up. He used to be called Snoop Doggy Dogg but later dropped the Doggy to let people know he was serious. He’s also done back up vocals for Katy Perry and even made a country western song with Willie Nelson called “Roll Me Up” about, what else, smoking weed! We weren’t big fans of that, but it could have more to do with the genre than his efforts. 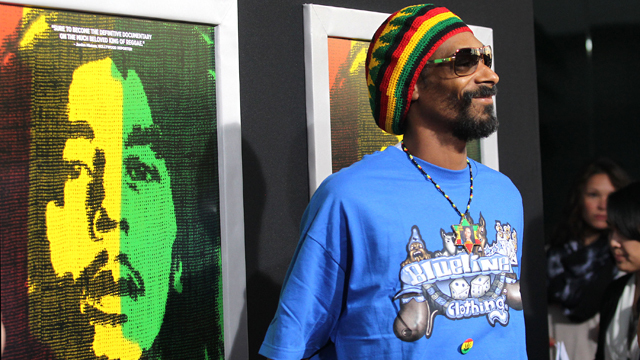 The reggae thing is for real, according to Snoop Lion dot com, who claims ”Snoop Lion seems dedicated to the cause. He’s created a Facebook, Twitter and Tumblr and has reached out to celebrities through Twitter — such as the Kardashians, Martha Stewart and Rihanna — to send them “postive vibes” We sure hope so. Can’t wait to buy a copy on iTunes the minute it’s available and hear the whole album. Nice to have something new to add to the reggae section other than Damian Marley or Soja, who seem to be leading the Rasta scene at present. Let us know what you think! This entry was posted in music and tagged Ariel Rechtshaid, Damian Marley, diplo, dreads, Gawker, Haile Selassie, Jah, Kardashians, La La La, major lazer, Martha Stewart, Rastafarianism, Reggae, Reincarnated, Rihanna, Snoop Dogg, Snoop Lion, Soja, Soundcloud, weed, Willie Nelson by Devan Sagliani. Bookmark the permalink.